INSIDE: Thank you for all your support Dad! FD002 funny wholesale Father’s Day card from Snafu. A great Father’s Day card for that dad that has always provided support. 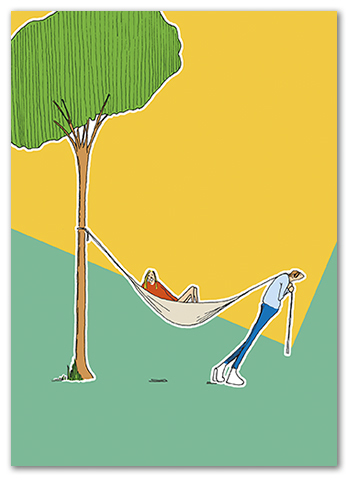 Perfect for your customers that like to send funny cards, and like hammocks! Printed on high quality 100 lb card stock, and comes with a bright white wove cotton envelope. Read what other stores say about us!